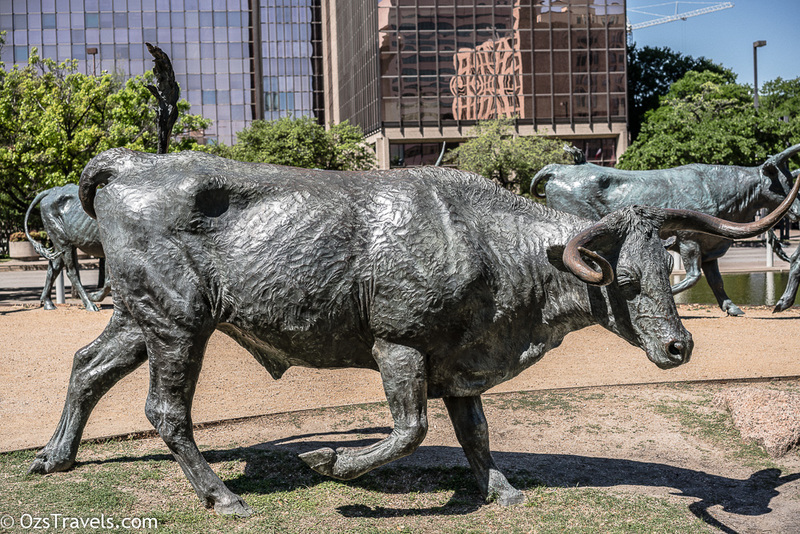 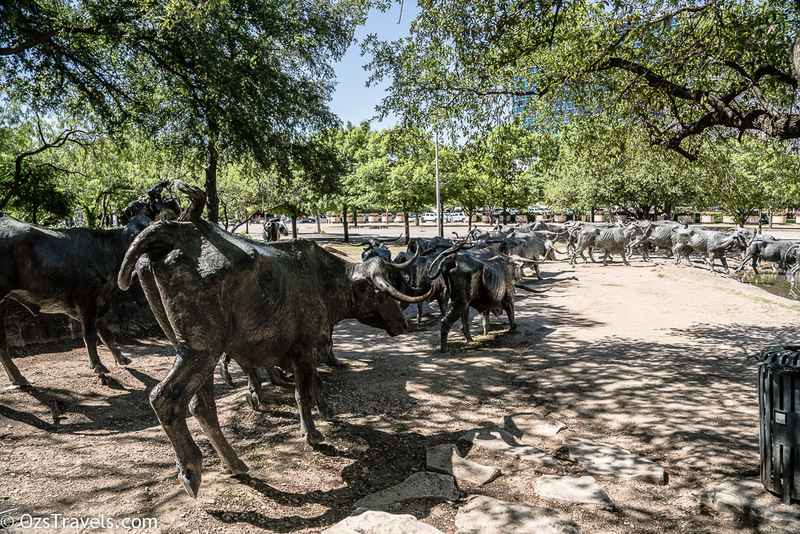 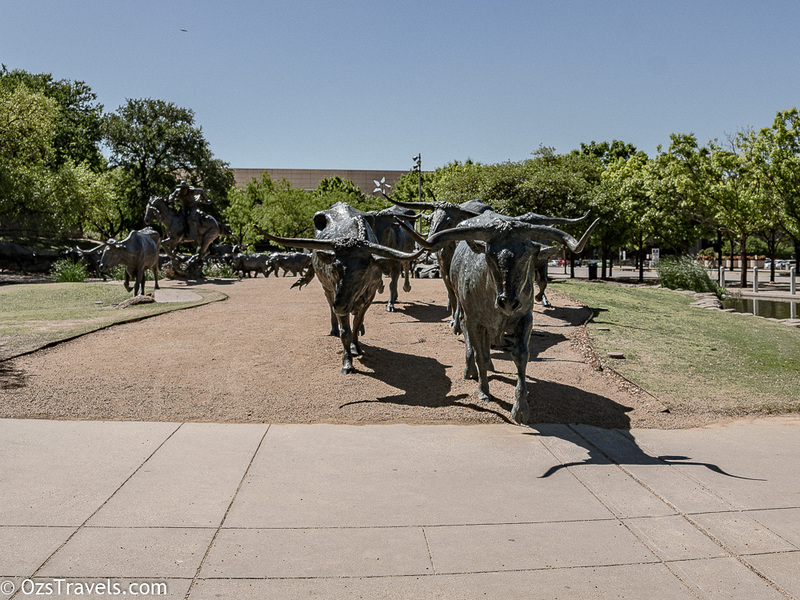 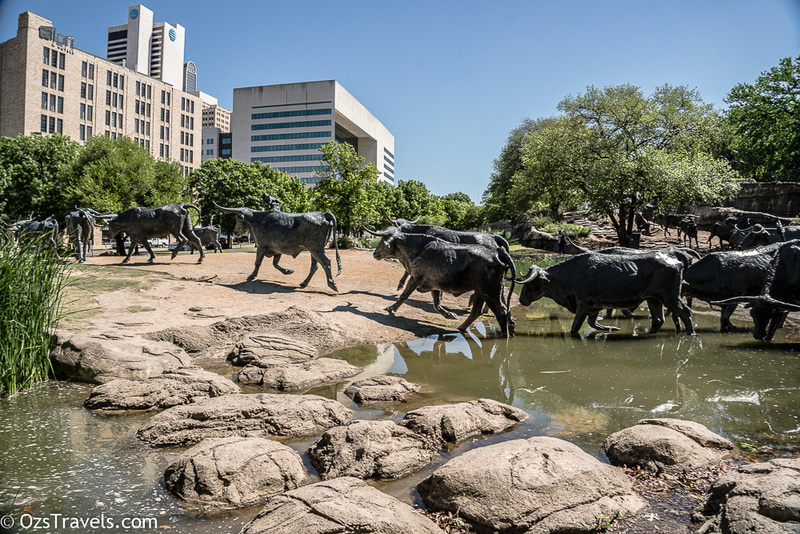 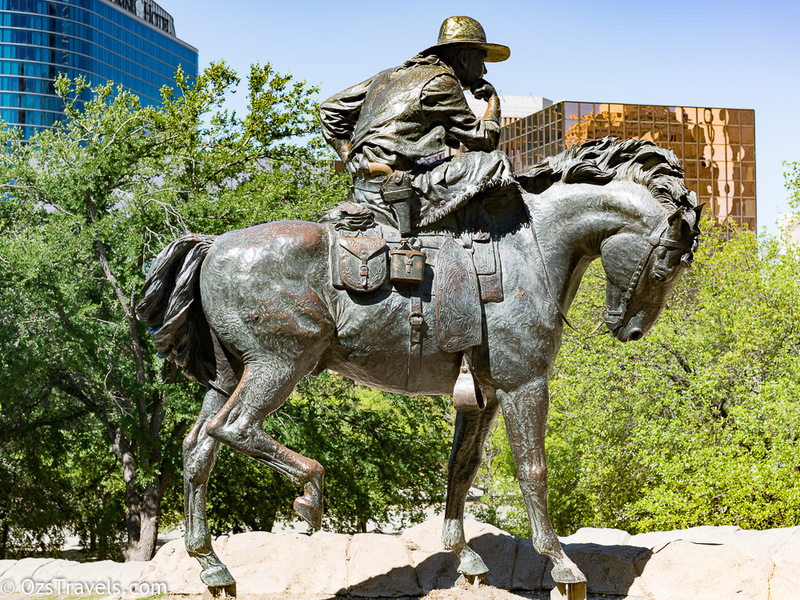 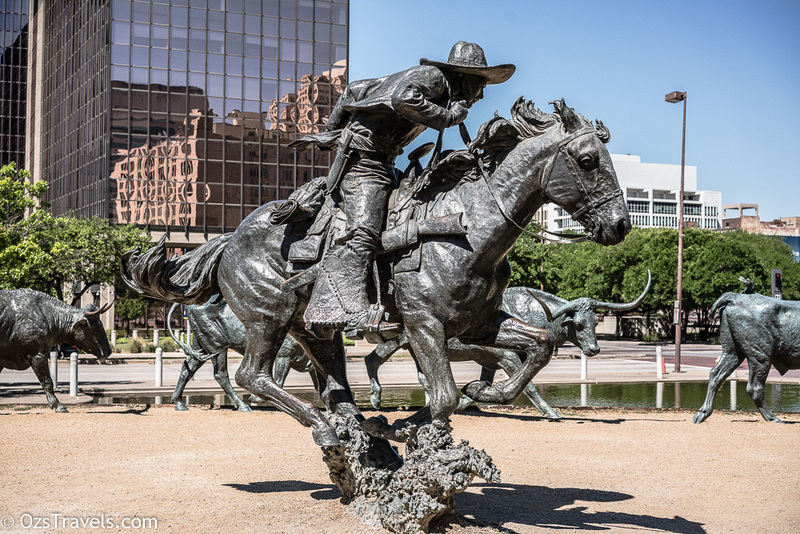 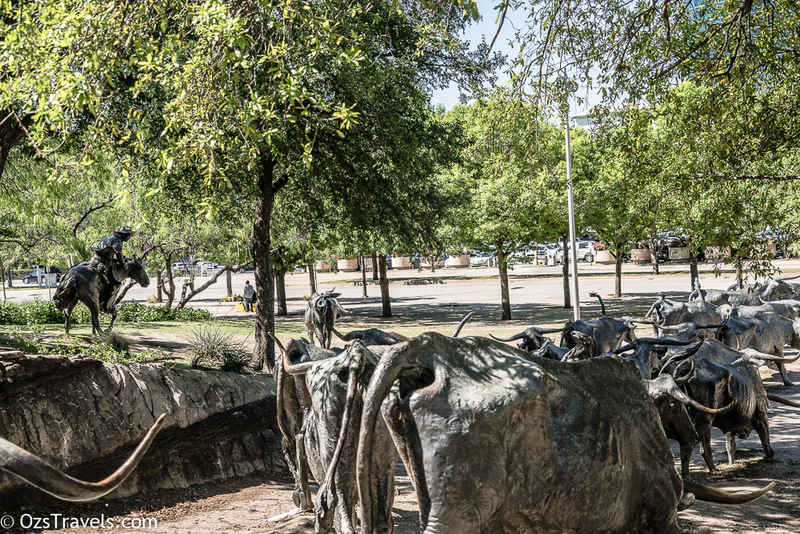 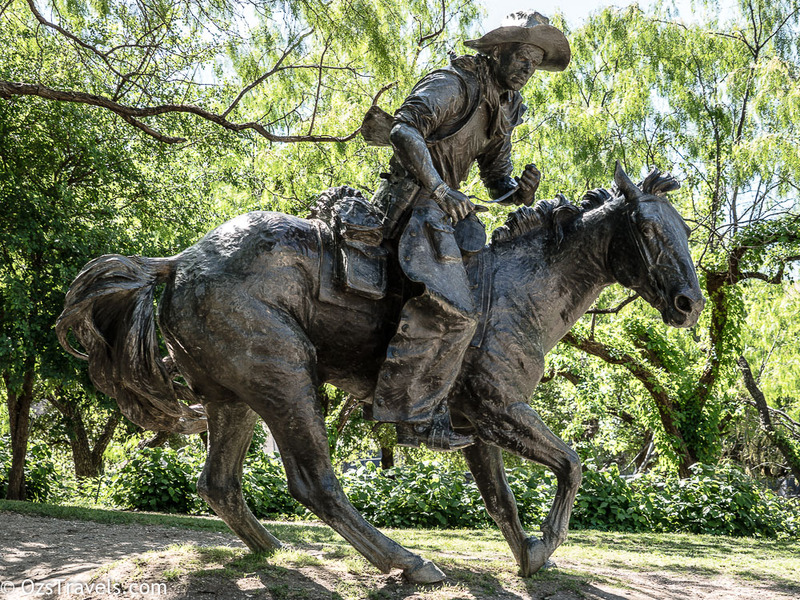 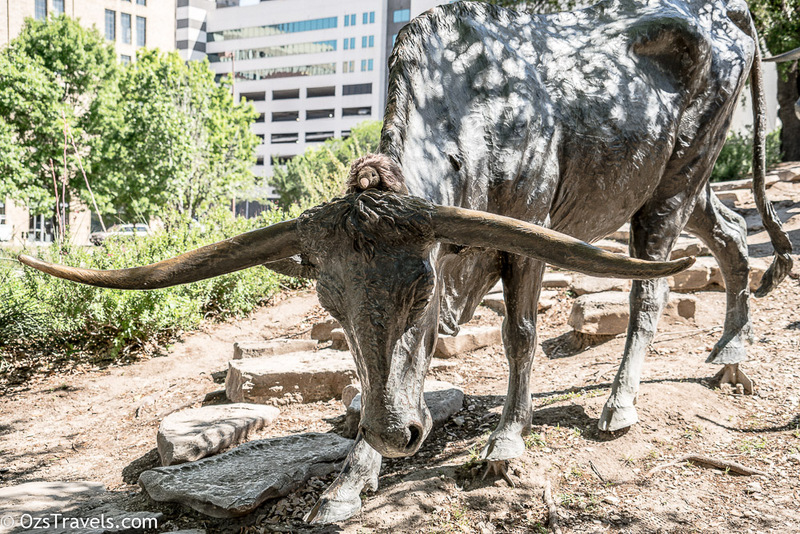 One of my favourite finds on my walk in Dallas Texas was the sculpture tribute to the 19th Century cattle drives along the Shawnee Trail in Pioneer Plaza. 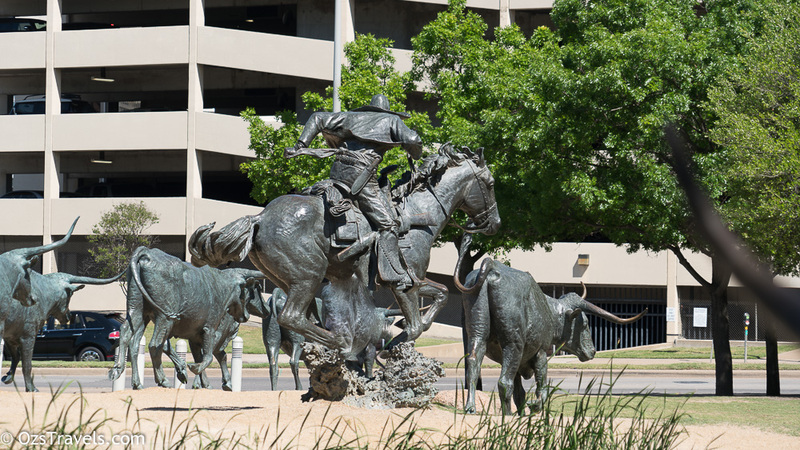 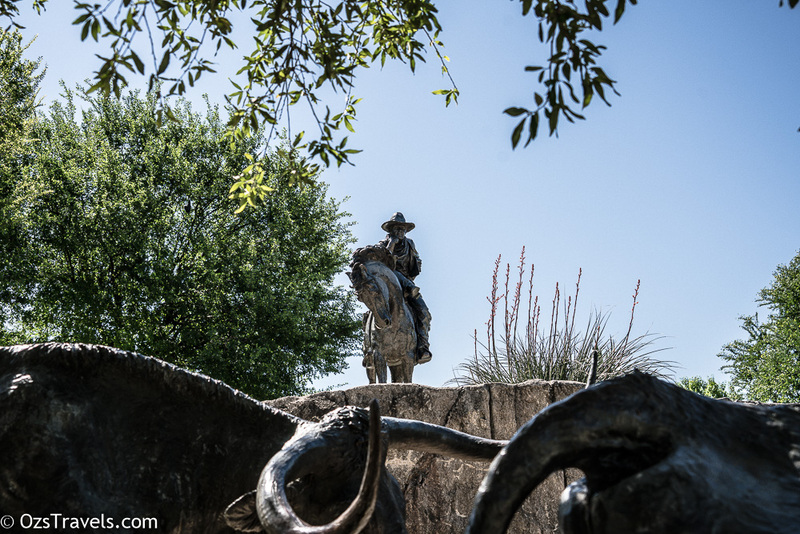 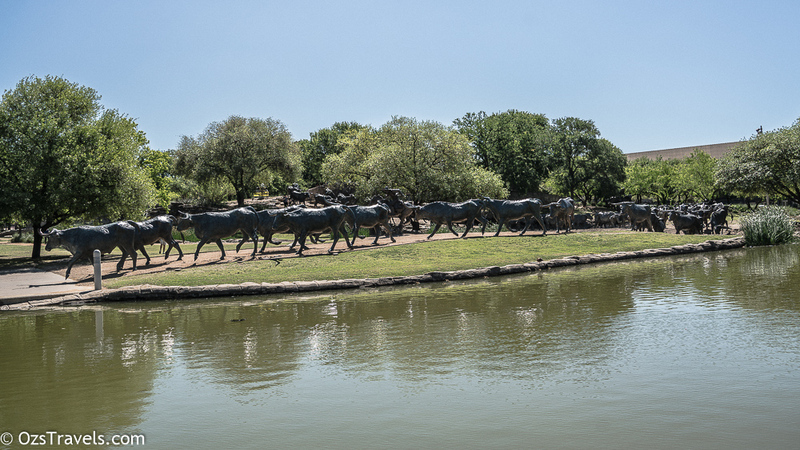 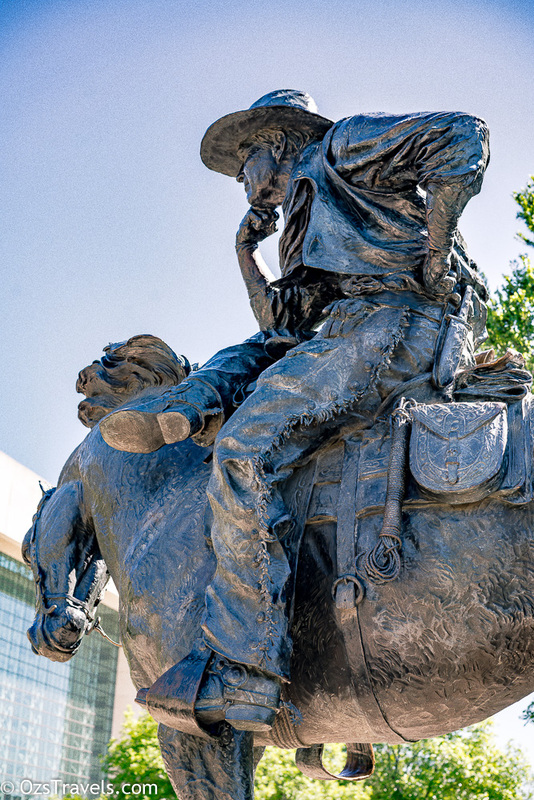 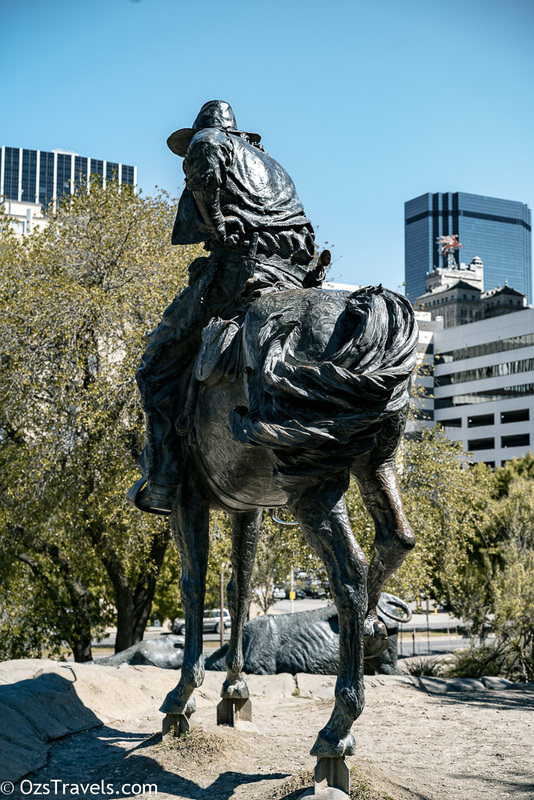 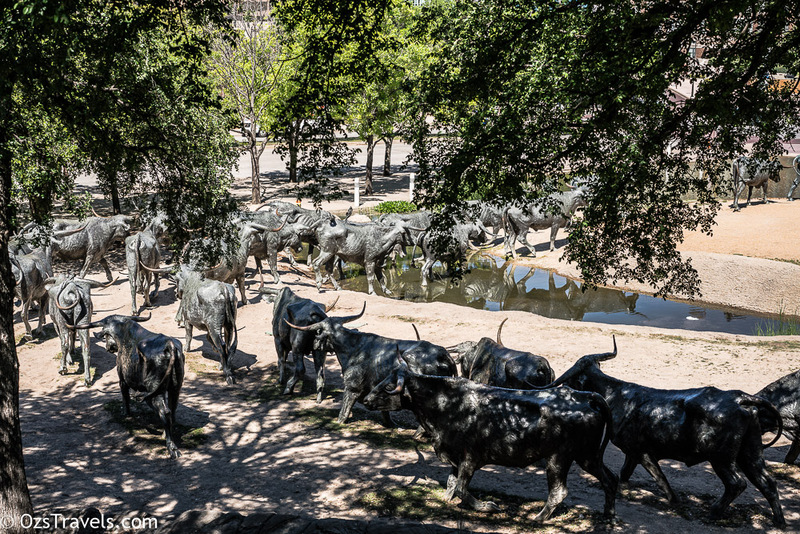 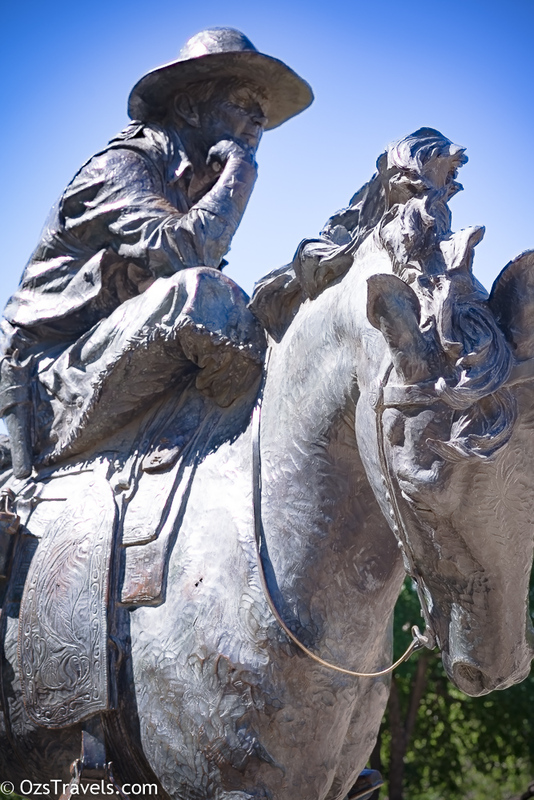 In total there are over 49 steers, and 3 trail riders all sculpted in bronze by Robert Summers. 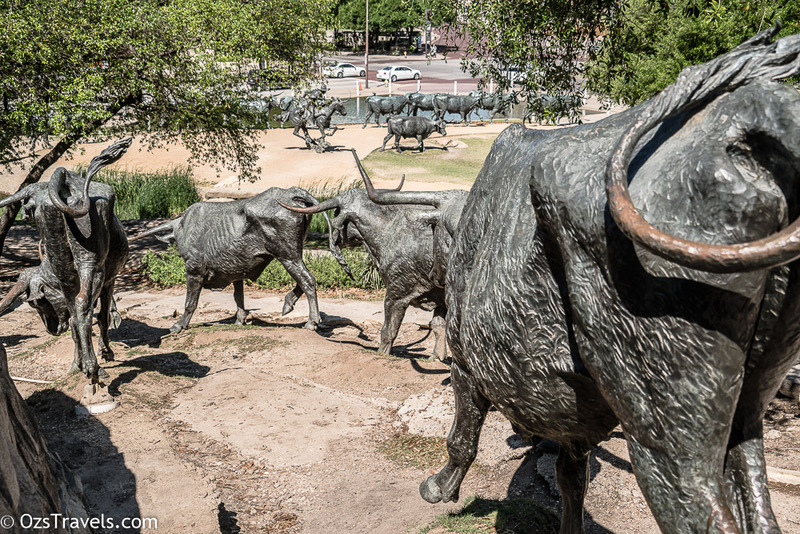 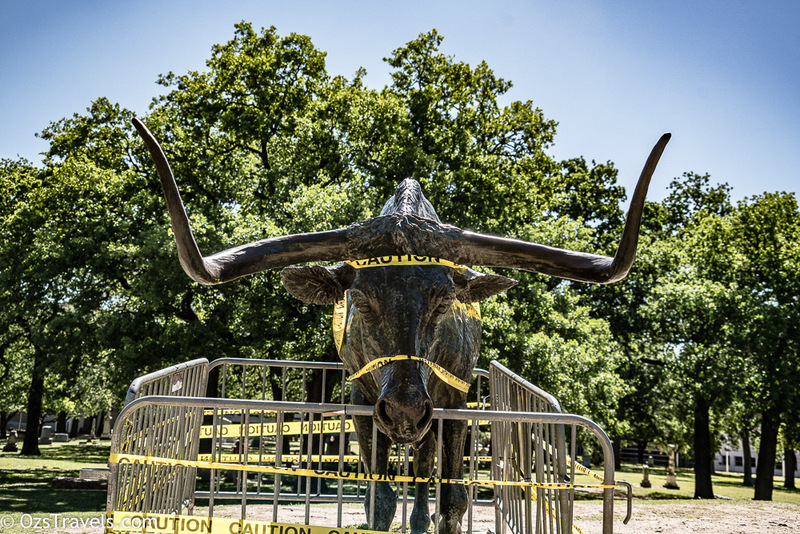 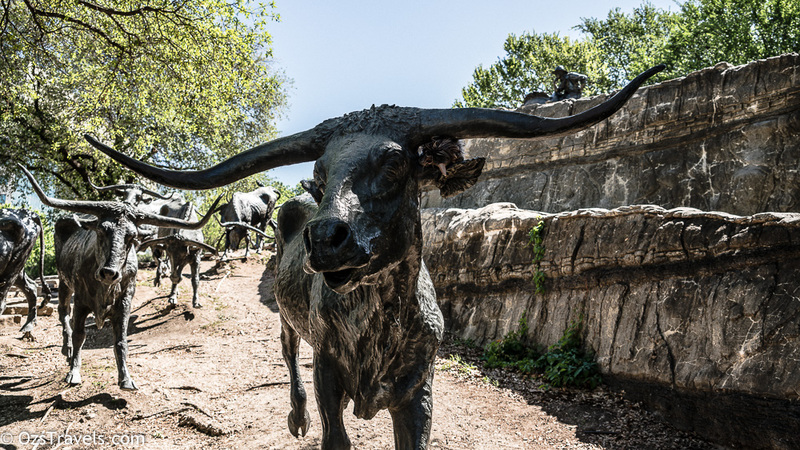 Each steer is approximately 6 ft in height, which apparently makes them 130% larger than the real thing making it, from a weight perspective, the largest bronze monument in the world. 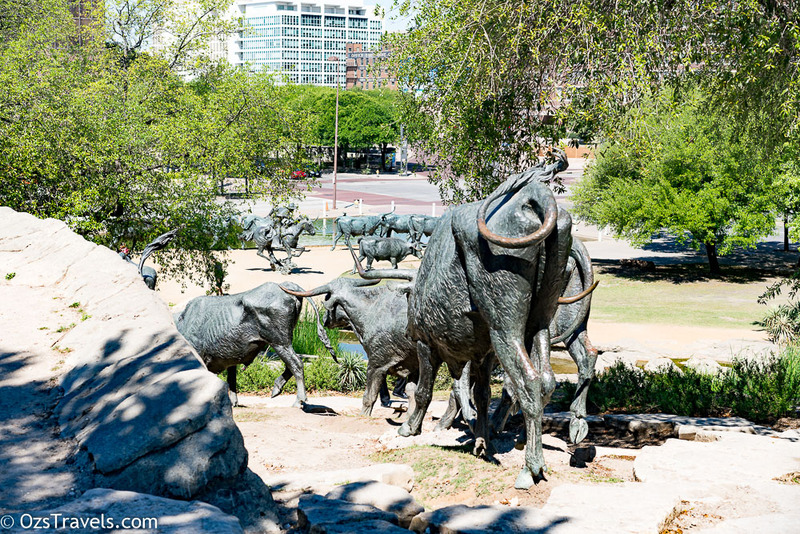 The 4 acre (16,000 m2) sculpture was started in November 1992 and finished, on time, late 1994 at a cost of around USD9 million. 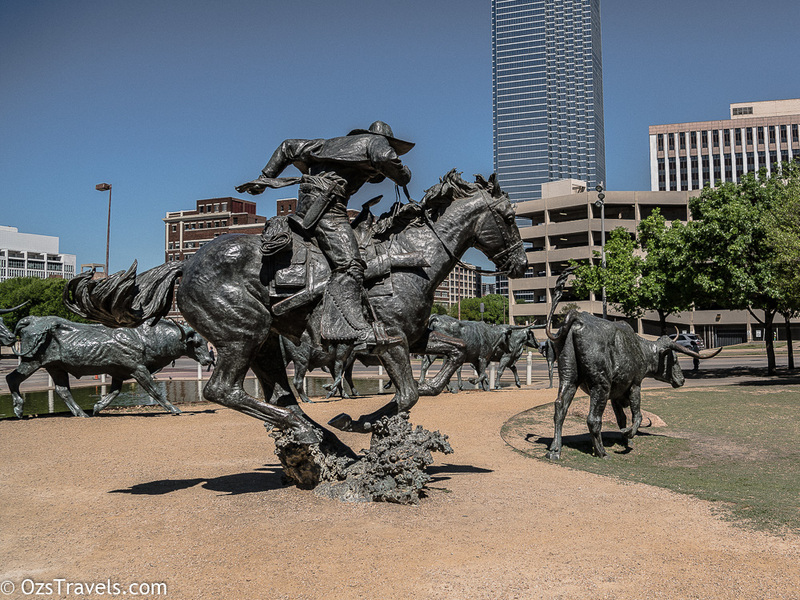 The attention to detail is amazing and I can see why it is considered the second most popular tourist spot in downtown Dallas Texas. 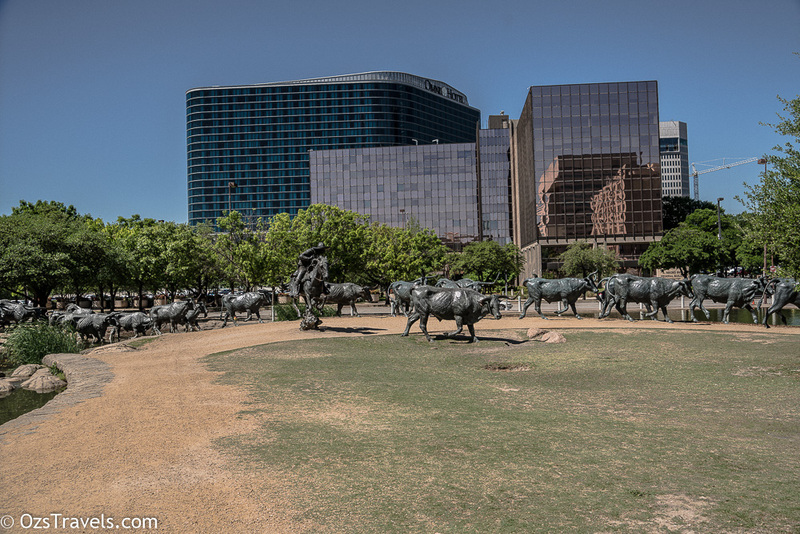 What surprised me was how quiet it was considering that Pioneer Plaza is on the edge of Downtown Dallas, very peaceful, a nice place for lunch. 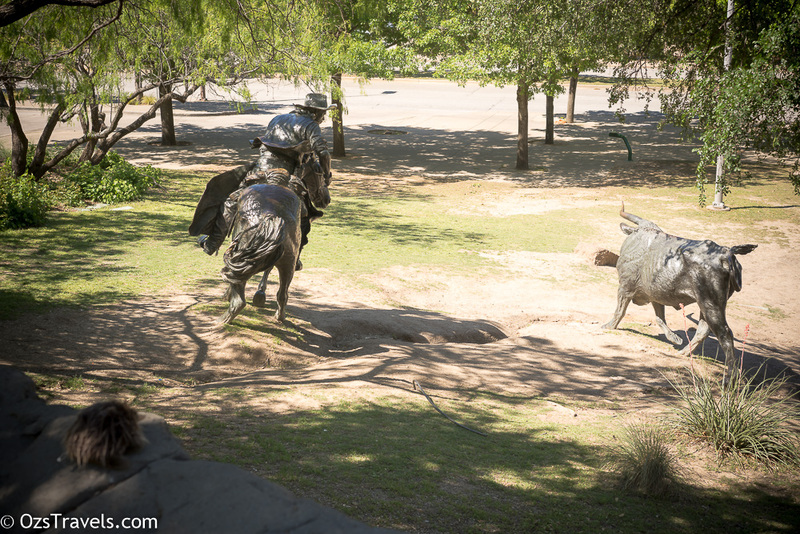 BTW, has anyone seen Cyrano the Echidna?? 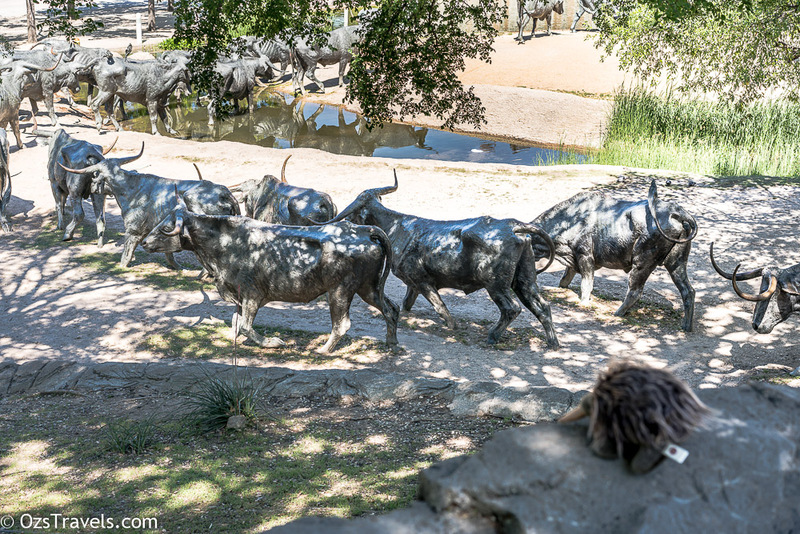 don’t tell me you left Cyrano with the cattle?????????? 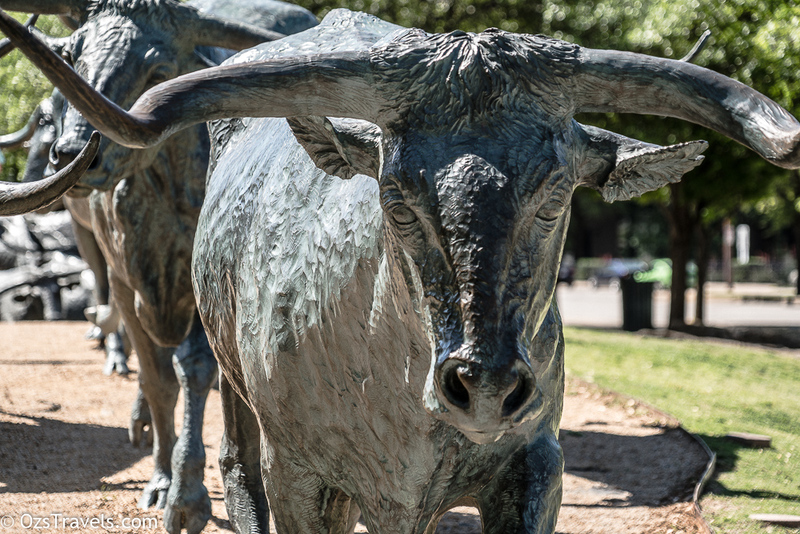 Will have to see if he turns up again somewhere. 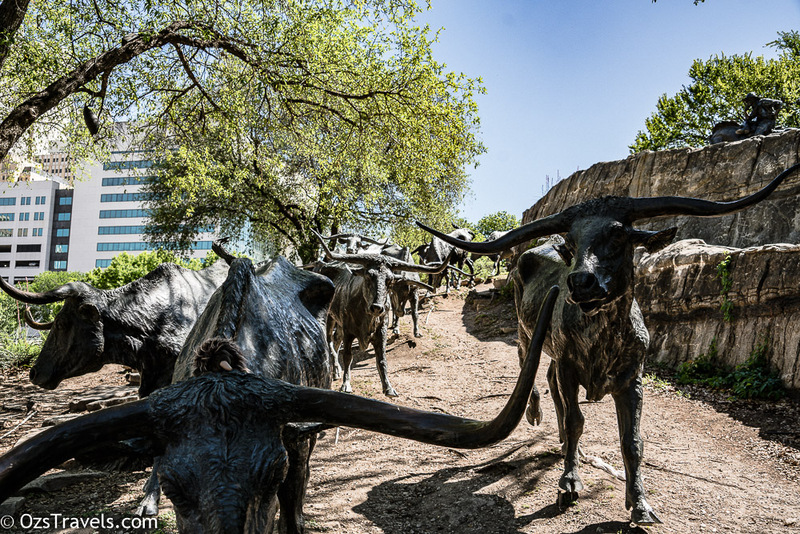 Agree, amazing attention to detail and they are still adding steers apparently.